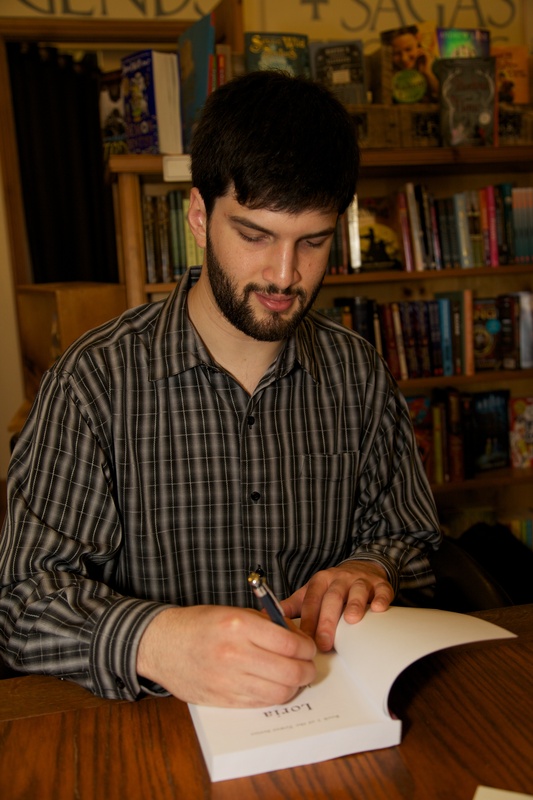 IFWG Publishing is pleased to report on the official release of Loria, Book 1 of the Tower series, by Jesse McMinn. 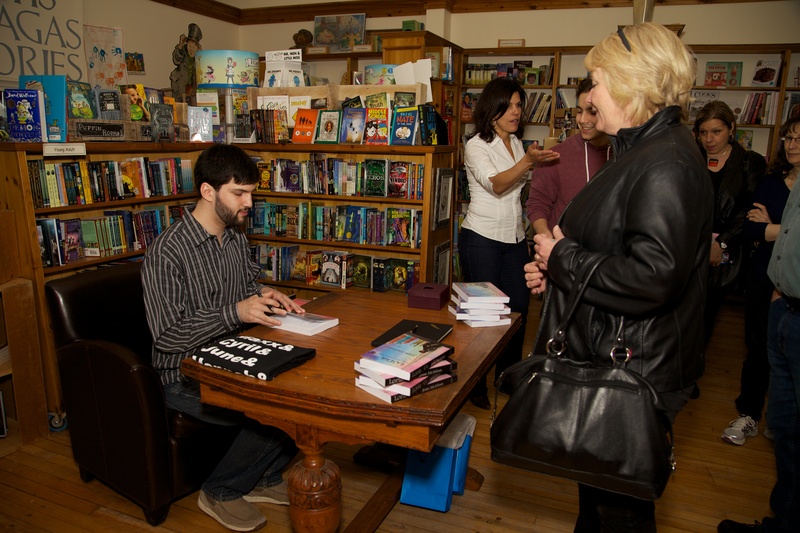 It was appropriately held in his home town of Uxbridge, Ontario (Canada). 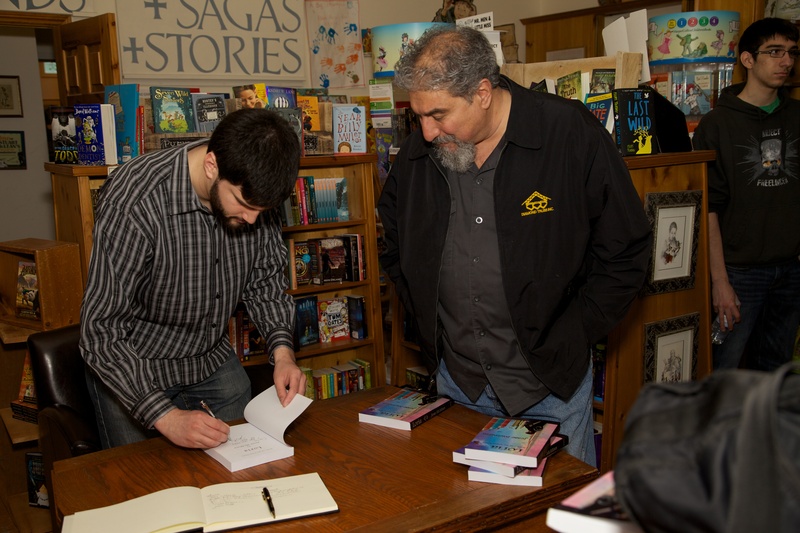 He had over 50 people attend the event at Blue Heron Books, and sold many copies of Loria. 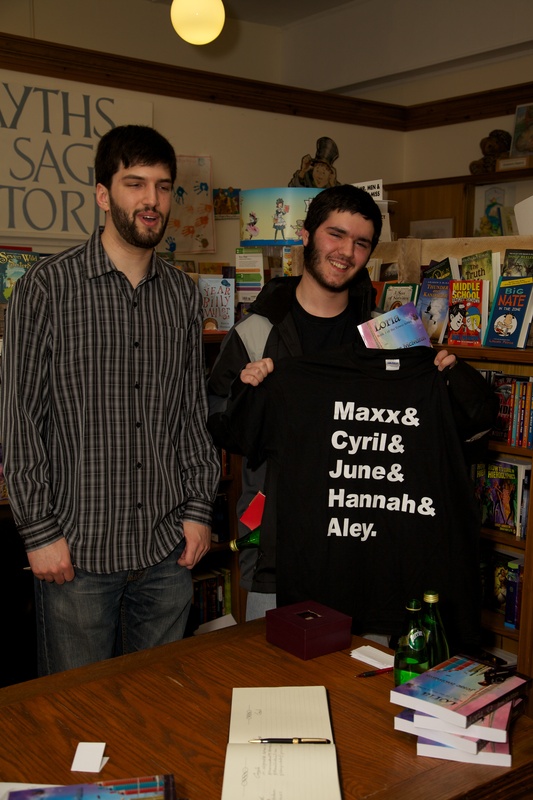 One fan (of Jesse’s Legend Of Maxx webcomic) had his father drive him 2 hours so he could purchase a book and have it signed. 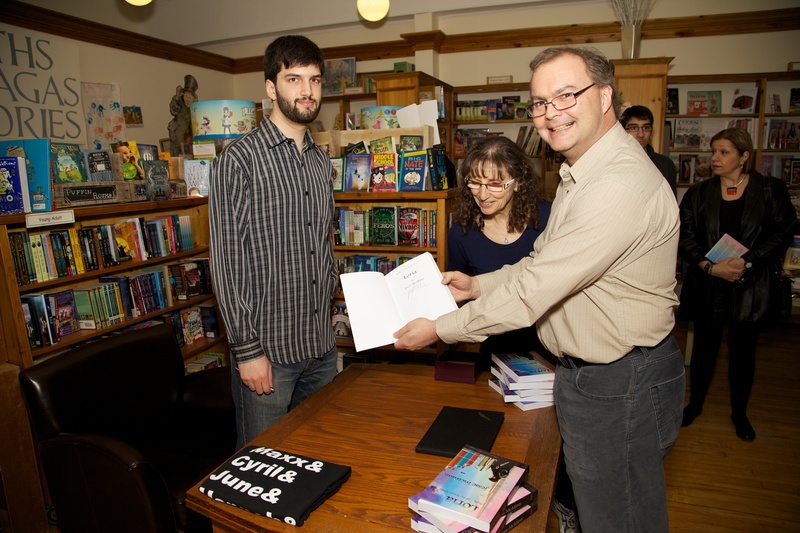 There were also orders for more copies (from people who could not attend the launch) so that was also a nice bonus! 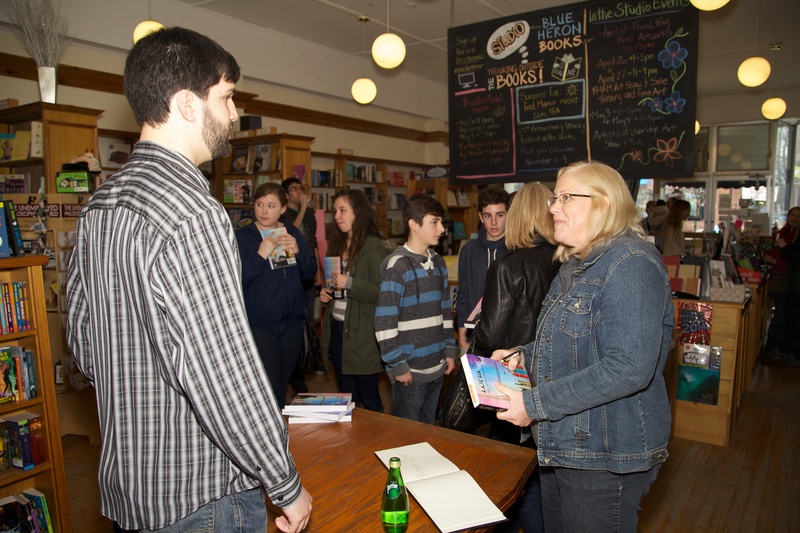 Many people who came out had already purchased books and came to meet him and have him sign. Two local newspapers came out to take photos so we expect to see something in them in coming weeks. Jesse and his family were really happy with the turn out and feel it was a big success! We agree with them! 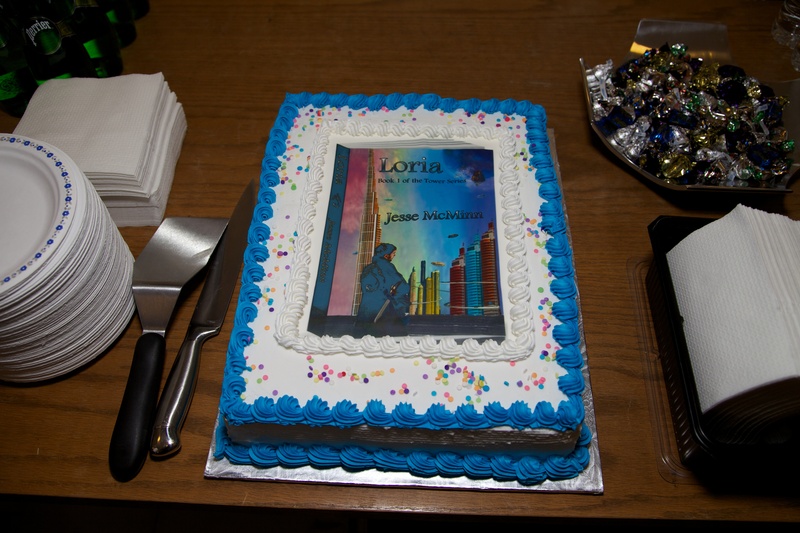 Here are a few snaps of the event – like the book cover cake! For those who want to see what all the fuss is about, click here to find out about Loria. 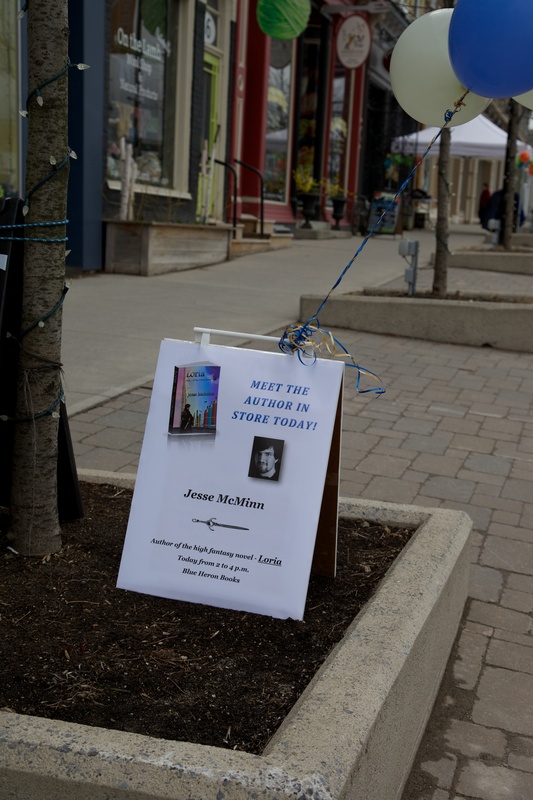 This entry was posted in News and tagged book launch, jesse mcminn, launch, loria by Gerry Huntman. Bookmark the permalink. Congrats Jesse, looks like you had a great launch.